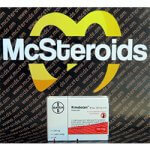 Oxandrolone is one of the few steroids that is mostly known by its drug names, less under any brand name such as Retoxan. Although better known in the US as Anavar (manufactured by Searle), the first officially available oxandrolone preparation in 1962, this name has not prevailed in the rest of the world. Even brands such as Lonavar or Lipidex have never been successful, which may also be due to the fact that drugs containing oxandrolone as an active ingredient were only found irregularly in pharmacies and were only produced in a few smaller countries for a few years. Oxandrolone is a very interesting steroid. As a DHT derivative, it can not aromatize, estrogen-related side effects are therefore not a problem for the user. Even a progesterone effect is not to be feared with Retoxan, so that side effects such as increased water retention, fat and gynecomastia are virtually absent. Rather the opposite. 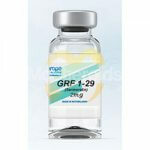 Oxandrolone is a major diet steroid known to aid the user in losing fat. 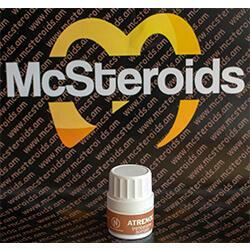 Retoxan (Oxandrolone) is usually only used orally in tablet form. It is 17-alpha-alkylated, which protects it against excessive degradation in the liver. However, this also results in a certain burden called organ, which is classified as mild. Although a test series with HIV-positive volunteers was able to detect an increase in liver values ​​with daily doses of 80 mg over 12 weeks, these did not in any way indicate liver damage. Thus, oxandrolone is considered to be one of the safe 17-alpha-alkylated steroids, but should not be considered as a free ticket to overdose in terms of drug amount and duration. 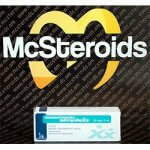 Oxandrolone is moderately anabolic and low in androgenic, which makes it a recommended steroid for women. In fact, female users respond very well to an oxandrolone regimen, which is underpinned by only mild to sometimes complete virilization effects, at least as long as the user is in reasonable dosage ranges between 10 and 25mg per day and the spa length is a maximum of 8 weeks keeps short. Oh men will experience hardly identifiable side effects with Oxandrolone. Water retention and gynecomastia are, as mentioned before, not an issue, also hair loss and prostate growth are unlikely. Since oxandrolone is already 5-alpha-reduced, it can no longer aromatize into the stronger dihydro form, which takes this android’s androgenic component. For this reason Oxandrolone is also a favored active ingredient for older athletes who do not want to put up with any major side effects and still want to build up faster. Who uses Retoxan during mass phases, will thanks to a particularly strong in Oxandrolone pronounced increase in Creatinphoshphat synthesis, although a good increase in strength, but an extreme muscle growth should not be expected, since Oxandrolone is simply not anabolic enough.  With higher than the generally recommended dosages, although better results can be achieved, but also increase the side effects, in addition, oxandrolone is anything but a cheap steroid. 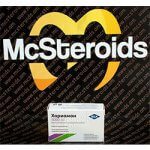 Those with a big budget and potential side effects use 75-100mg instead of the generally recommended 25-40mg oxandrolone per day for doping purposes, divided into three equal-sized doses due to the half-life of about 9 hours. 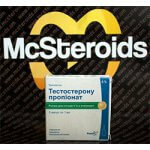 Steroid novices usually do not use oxandrolone because an effective regimen is simply too expensive. 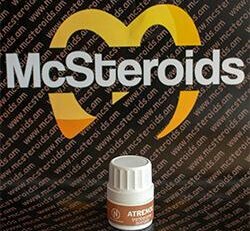 Although the use provokes excitement as oxandrolone does not interfere with the endogenous hormone system and should make weaning superfluous, but this is not true. Oxandrolone, like any other anabolic / androgenic steroid, also interferes with endogenous testosterone production, doing so only a little bit less in comparison to more aggressive steroids and nandrolone derivatives, so that discontinuation at the end of the course seems to make sense. Oxandrolone is often used in diet and competition phases with other dietary steroids such as testosterone propionate, trenbolone, stanozolol, fluoxymesterone (oral, therefore not recommended) and / or drostanolone, to build up more with depot testosterone and nandrolone, while oxandrolone is only here high dosages between 75 and 100mg will make a difference. Powerlifters and other strength athletes also like to use Oxandrolone with Depot Testosterone and / or Oxymetholone and / or Dianabol, which seems far from advisable due to the oral administration and 17-alpha alkylation of both steroids.